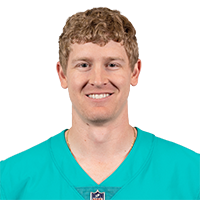 Rudock signed a reserve/future contract with the Dolphins on Saturday, Adam Schefter of ESPN reports. Analysis: Rudock has spent his first two seasons in Detroit, but mainly on its practice squad. He did suit up three times this past season, and completed three passes on five attempts of 24 yards and an interception. He will now look to make an impression in Miami to the and earn a spot on the Dolphins 53-man roster. Baltimore Ravens safety Eric Weddle picks off Detroit Lions quarterback Jake Rudock's pass and scores 45-yard touchdown.